Two years ago, Yemeni-American Huda Quhshi finally opened the all-women salon she always wanted. 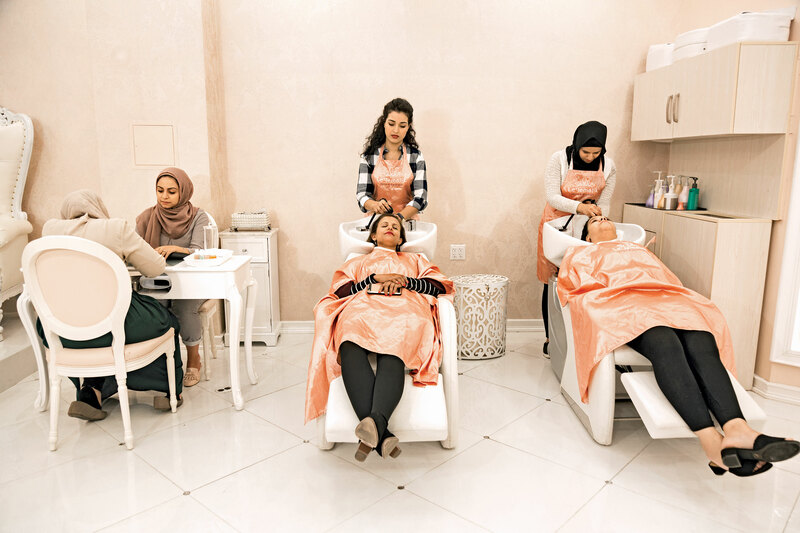 Based in Bay Ridge, Brooklyn, and called Le’Jemalik (which means in Arabic ‘for your beauty’), it gives religious women who cover their head a safe space to literally and figuratively let their hair down. With Huda and her customers, we look at how religion and culture shape devout women’s views about beauty. What’s revealed is that different women have very different views about the extent to which they should cover their adornments in public. From halal brows to trend-setting turbans, we discover that – surprisingly – religious modesty and a desire for very attractive appearance can and do go together.